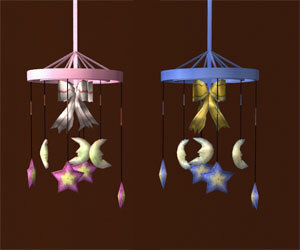 Important: all objects except the lamps are base game compatible. 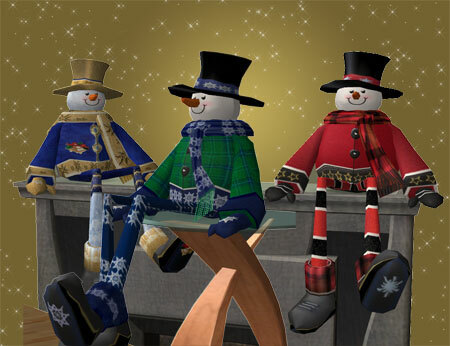 Decorate your sims' houses for Christmas … with snowmen! 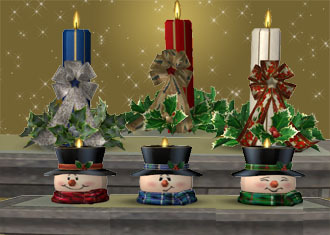 There is a snowman candle with a flickering light, which can be found in Decorative/Plants. 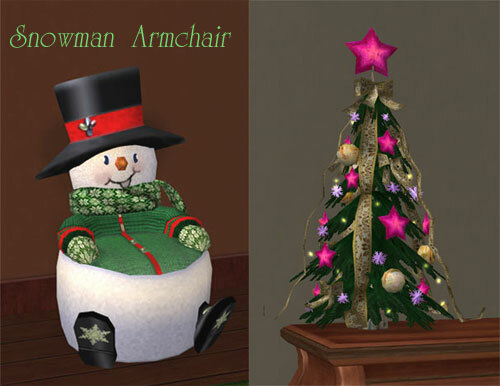 There’s a snowman for the mantelpiece (Decorative/Plants), a cute snowman armchair for the kids’ room and a table lamp: a snowman with an animated star. Light up the rooms with 2 hand painted table lamps – one has the shape of a Christmas ornament and the other one – of a Christmas bell. 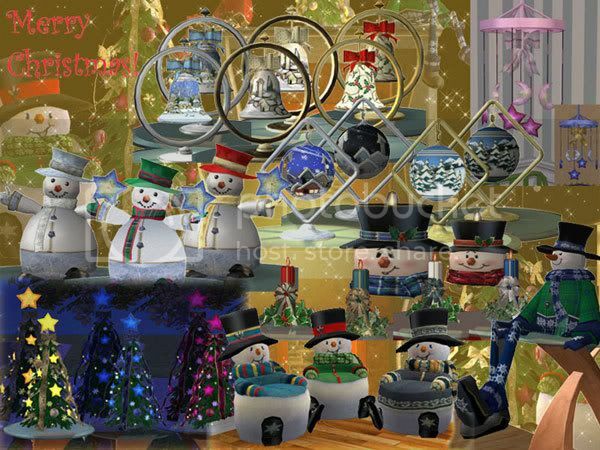 And there’s an animated tabletop Christmas tree (Decorative/Sculptures) and a Christmas centrepiece with holly (Decorative/Plants). 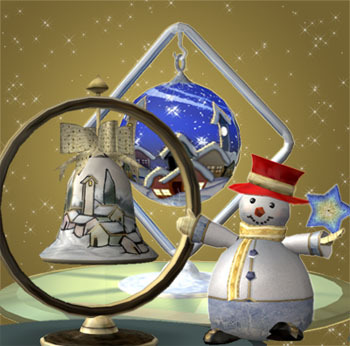 Warm and wonderful Christmas wishes to everyone in the community! P.S. I just used Numenor's Game Base Starter and checked the objects. Numenor, Thank you for this very useful tool. All the objects, except the llamps, work fine. The lamps are OK when they aren't lit. But somehow I get a flashing blue texture when I turn them on.